Thanks to those lovely people at Headline, we are celebrating the recent release of A.S.A. 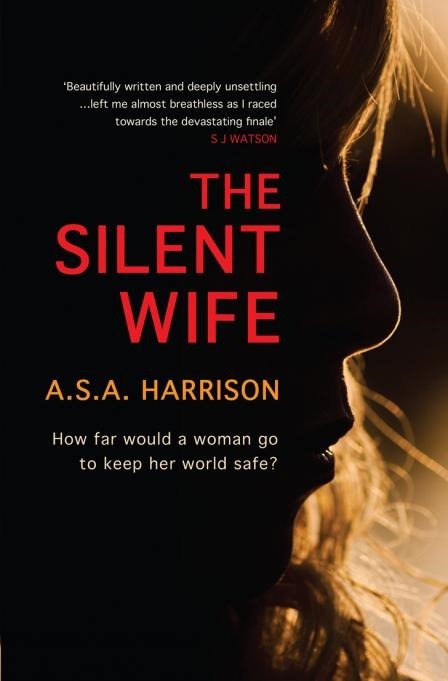 Harrison’s debut novel, The Silent Wife, by giving away a copy to one lucky Reader Dad visitor. This competition is open to UK visitors only. To be in with a chance of winning a copy of this brilliant novel, all you have to do is prove you’re human: post a comment below before midnight (GMT) on Sunday 14th July. One winner will be drawn at random on Monday 15th July, and will be contacted shortly thereafter to arrange delivery. Thanks, as always, for visiting. Best of luck! I’d love to win this, the story sounds amazing. Yes, would make great holiday reading. Put me in the draw. Congratulations! Your number came up in the random draw, and you’ve won the copy of The Silent Wife. Drop me an email at the address in my “About” section, and I’ll arrange to get the copy sent out to you ASAP. I haven’t read Gone Girl, so can’t comment. Definitely worth your time, though. keep hearing about this, would love to see what it’s all about.. I am human and would love to win a copy of The Silent Wife – the silent hoper.